Breeder: W H Robson & Sons, Antrim, Ireland. 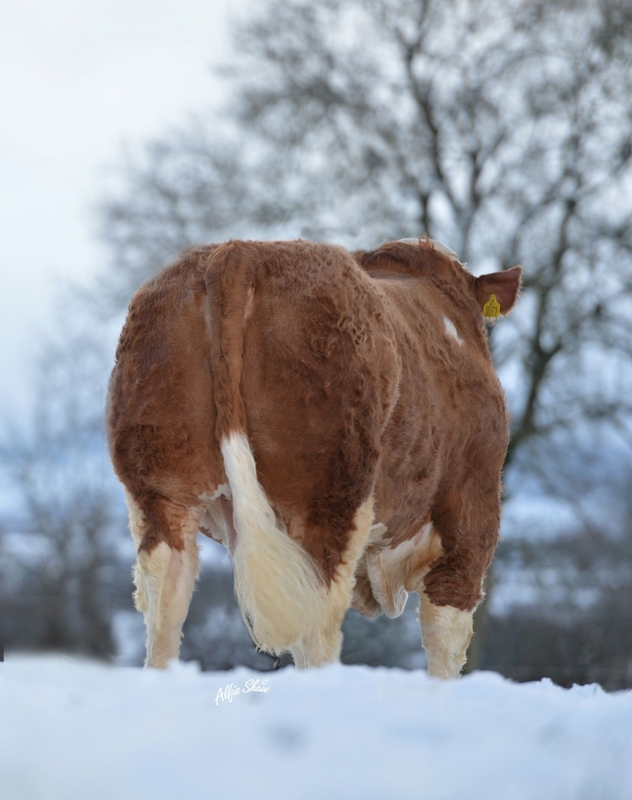 A pedigree containing some old high performing bulls. 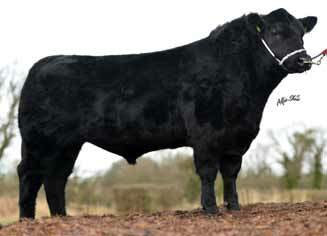 Escalop’s sire Brenin was a very consistent breeder for the Kilbride herd. 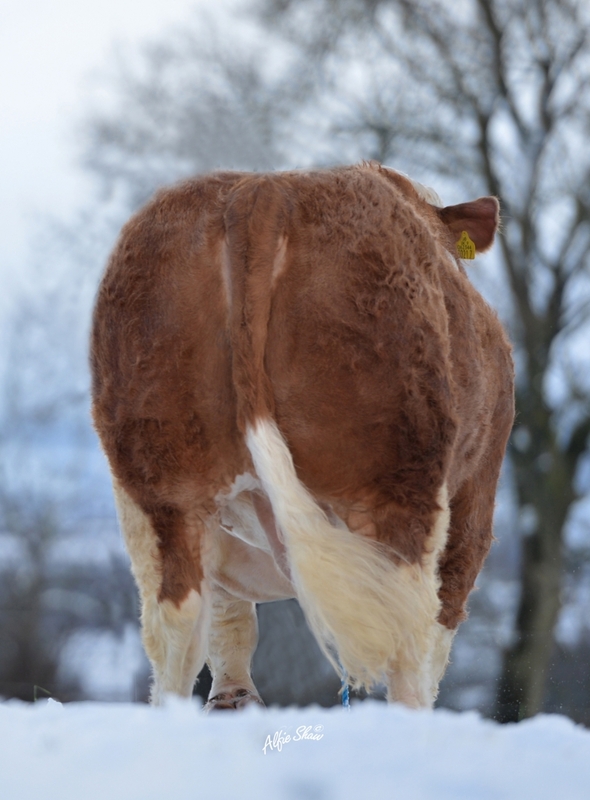 Brenin sons sold well at the February 2015 Stirling bull sales. 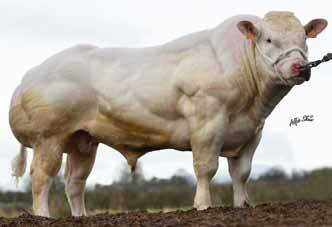 He sires muscle, correctness, style and milk. The Iris cow family is one of the top cow families in the herd. Escalop is a long, clean, stylish bull. He has very good muscle development throughout the loin and hindquarter. He has a good temperament and excellent feet. He is well muscled on top and very square at the plates. He has an excellent depth of hindquarter. 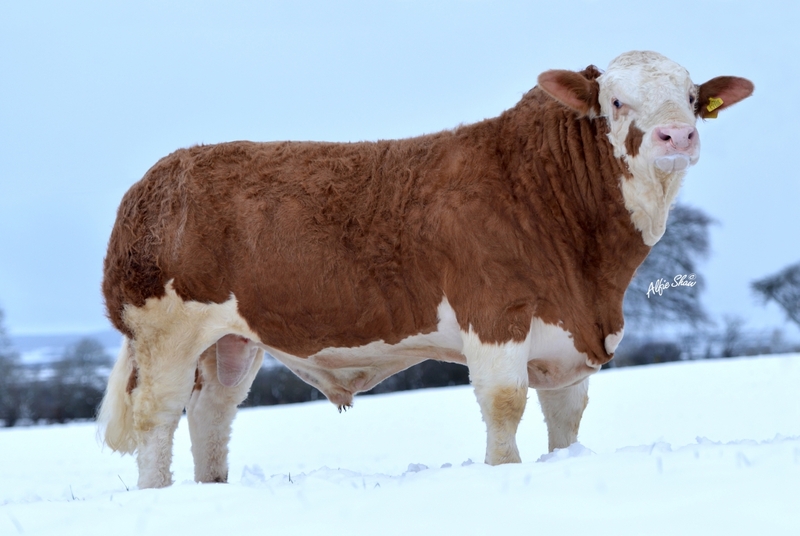 Escalop is a fine example of the Simmental breed. 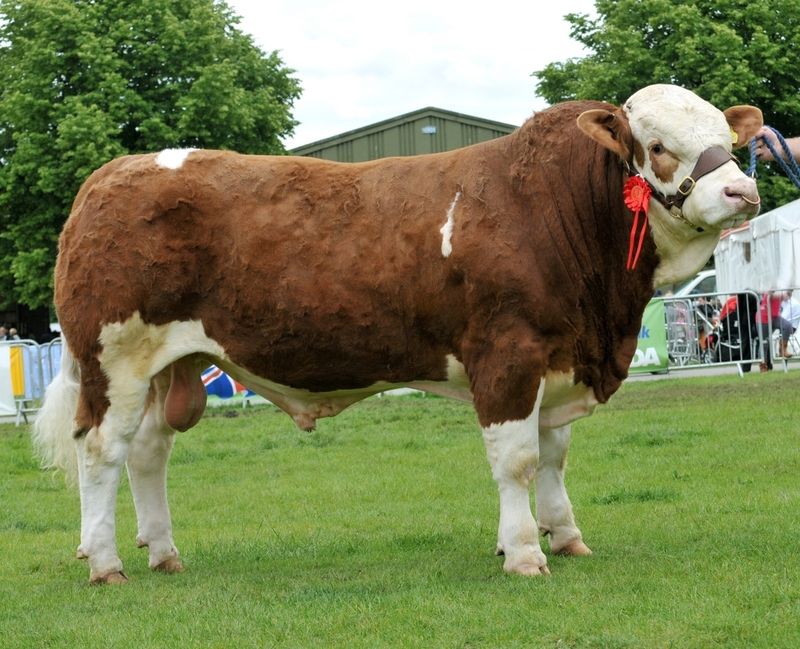 Escalop’s sire, Crugmelyn Brenin, 1st prize winner @ the English National Show 2011.